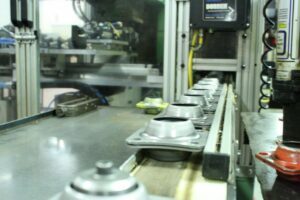 Production Manufacturing | Pentaflex INC. Production Manufacturing | Pentaflex INC.
Pentaflex has a wide range of traditional mechanical presses for production manufacturing that range from 75 tons to 1600 tons of capacity. The bed sizes are up to 180” x 72”. 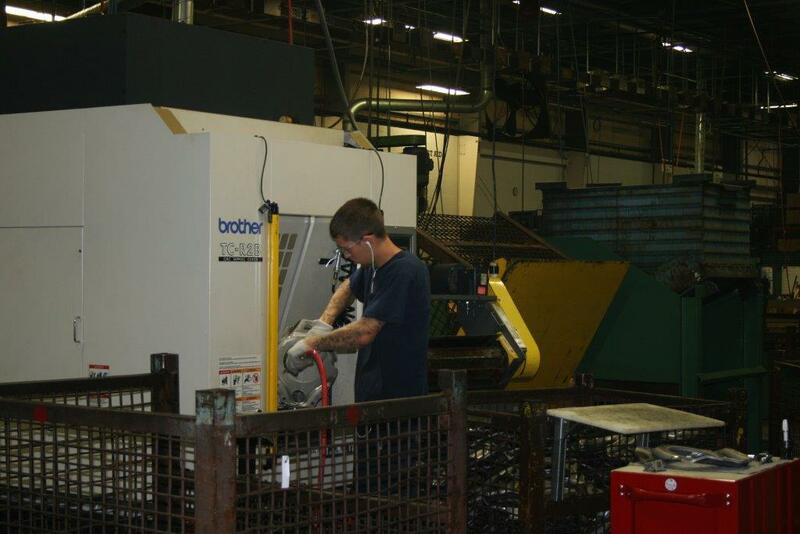 Many of our mechanical presses are equipped with coil feeders that are capable of handling material up to .500 thick. The larger mechanical presses are equipped with state of the art transfer systems that utilize blank feeders for higher volume runs. Of course Pentaflex has a number of smaller mechanical presses that are used for secondary operations. 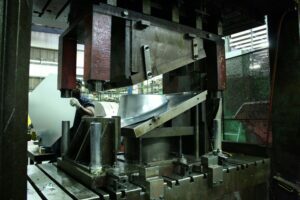 From the very early days of their production manufacturing, Pentaflex has used hydraulic presses in a production setting. With tonnage up to 2300 tons, Pentaflex’s hydraulic presses are ideal for deep drawn and highly formed applications. 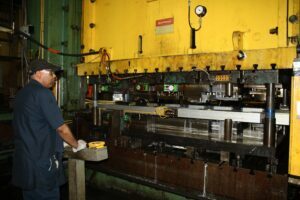 While not the fastest presses, the hydraulic press can do in a single stroke what many would need to do in multiple operations. Please visit the video section of the site to see hydraulic presses in action. Pentaflex has recently invested in the latest in press technology by acquiring two new servo presses from our partner Aida Press Technology. Both presses, a 330 ton and a 694 ton, are installed and operational. The servo press offers the speed of a traditional mechanical press, as well as the ability to make adjustments during the stroke such as dwell on bottom, or re-strike. 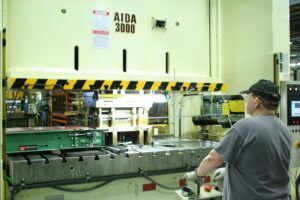 When utilized with the right tooling, servo presses can produce parts that traditional presses are unable to match. Both presses are coupled with servo-feeders that allow Pentaflex to process thinner gauge material. 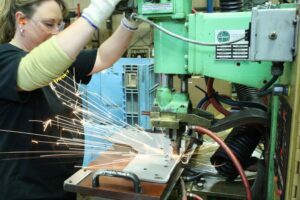 Pentaflex employs resistance welder and hard automated and robotic gas metal ARC welders to produce sub-assemblies and fabrications. Pentaflex utilizes the latest in CNC machining centers to provide close tolerance dimensions on critical components. Pentaflex can source and manage various purchased components such as grease fittings, bushing and O rings to be used in the production of sub-assemblies that incorporate stampings from the press department. Automated equipment is used to assemble the components into a sub-assembly or finished product.